VANCOUVER – Freestyle Canada unveiled the athletes that have been provisionally nominated to Team Canada for the 2018 Winter Games thanks to their 2016-2017 season results. Consequently, mogul skiers Justine Dufour-Lapointe, Andi Naude and Mikaël Kingsbury should all be headed to PyeongChang next February, as they have all met the “Method A” selection criteria. Mikaël Kingsbury, who had his best season yet with a total of nine World Cup victories, and who earned his sixth consecutive Crystal Globe, was also happy to be nominated to the Olympic team. “One of my objectives of the season was to secure my place for the next Games, and now that that’s done, my team and I will spend the next months preparing for this major event,” states Mikaël Kingsbury. 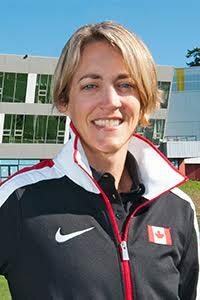 As for Penticton, British Columbia’s Andi Naude, who will be participating in her first Olympic Games, she could not hide her excitement following the nomination. “It has always been my dream to represent Canada at an Olympic Games, and after narrowly missing the 2014 Games, this early nomination means the world to me,” said Naude. According to the regulations set out in the 2018 Freestyle Ski Team Internal Procedures policy, a limited number of athletes are provisionally selected to the COC in 2016–2017 based on their results at the Grand Prix for the selection of Canadian athletes for the Olympic Winter Games competitions. A maximum of three eligible athletes per discipline (maximum of two per gender) can be nominated to the COC based on these competitions.